8 Noble Metals in a fun chemistry online learning game. 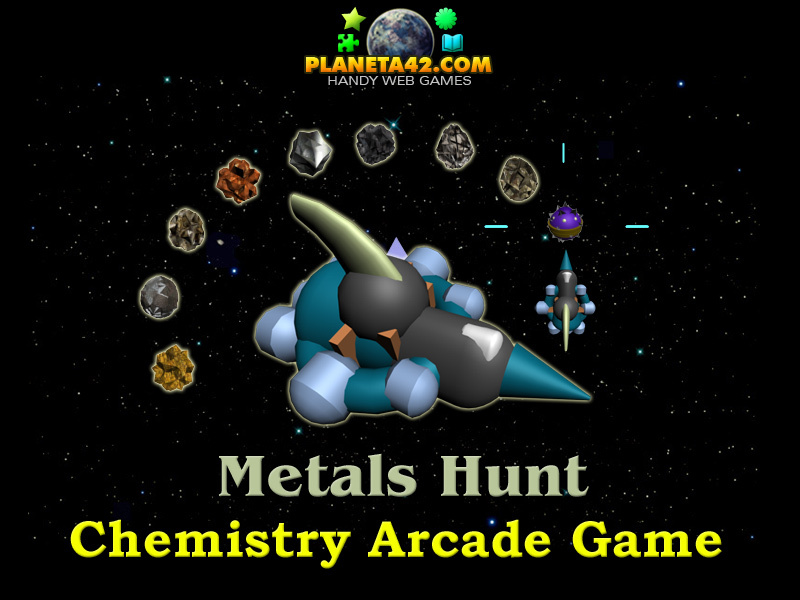 "Noble Metals Hunt" is a free online knowledge level game, used to study 8 precious metal elements from the Periodic System, by interraction. Move with arrow keys and collect the metal deposits. The player may memorize the letters and the atomic number of the metal element, just by playing the game and have some fun. 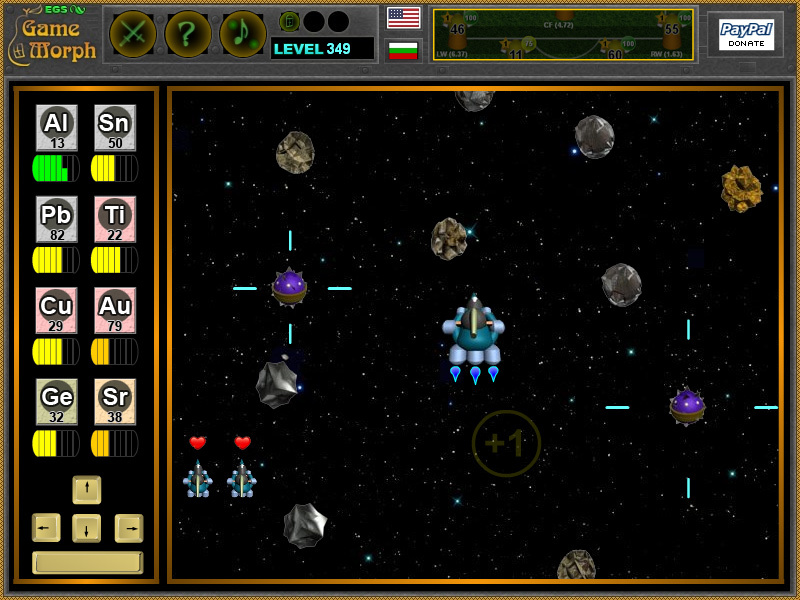 A short flash arcade game for desktop computers, laptops and tablets, which may be played in the web browser. The Chemistry Knowledge Board include 8 animated metal deposits to play with. Part of the Interactive Chemistry Laboratory educational tools. Is the gold a noble metal? Where can I control a space ship and collect precious metals? lingering in the space. Avoid the shooting battle stations of the greedy cartels, that want all resources for them. The ship have 8 cargo holds for the eight chemical elements. Filling a cargo hold will give +1 ship. And filling all of them win the game. Labels: Games with Elements , Arcade Games , Flash Games , Chemistry Games , Education Games , Free Online Games.